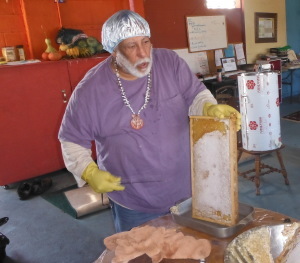 Danny is our Beekeeper too, here he is extracting honey he then gave out in the community. 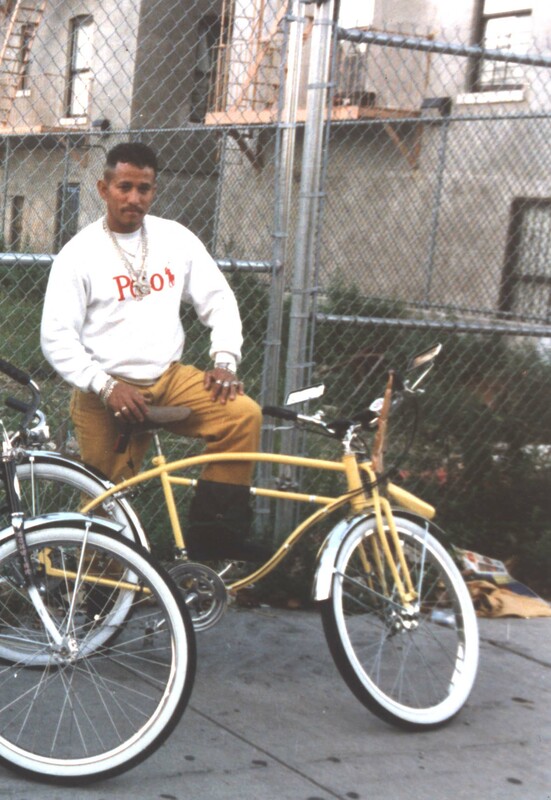 Danny has lived in the community since he was 14, and is a sort of Mayor of 140th Street. He went to junior high school at Alexander Burger, across the street from Brook Park. He then went to De Witt Clinton High School where he swam, and before graduating he joined the Marines. He is a Warehouse Manager in the neighborhood that sells holiday gifts and he coordinates enormous holiday sales events at Jacob Javits Convention Center, Grand Central Station and more. Danny is a skilled Dj and donates his time for local events. When a local resident found an injured red tail hawk, Danny was the person he called. Danny was later recognized by Parks Commissioner Adrian Benepe with a letter and glossy photo of the release in Central Park of hawk he helped rescue. Ray is often in our Youth Farm, tending to the crops and the minds and well-being of the young adults we engage with. Ray is Consultant on our Social-Ecological Community Development Projects at FRIENDS OF BROOK PARK, where he engages court-adjudicated youth and formerly-incarcerated youth from the South Bronx in the flagship Youth Community Farm Project as part of an Alternatives-to-Incarceration Program known as SOUTH BRONX COMMUNITY CONNECTIONS (SBCC). Ray pioneered SBCC’s school advocacy initiatives addressing – early on – “School-to-Prison Pipeline” issues at the inception of the SBCC Program via his engagement in school suspension hearings involving program youth. In the course of his SBCC’ work at Brook Park, Ray’s has prevented two youth from being killed – one via potential gang-related homicide and the other via potential individual suicide. He collaborates with the Bard Prison Initiative (BPI) where among other things he’s been engaged as a guest presenter on Urban Agriculture at the Woodbourne Correctional Facility in Up-State New York for the BPI College-in-Prison Program. 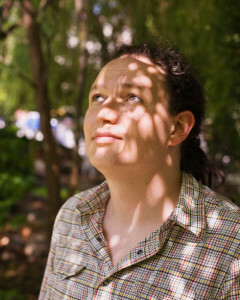 Ray is also President of the NEW YORK CITY COMMUNITY GARDEN COALITION, where he is actively involved in multiple public policy advocacy and community organizing efforts to improve the regulatory protections for community gardens and to have them permanently preserved from private/for-profit real estate development. To that end, he is also currently involved in overseeing a grassroots-led lawsuit against the City of New York. 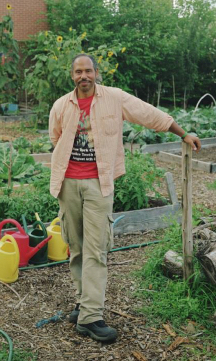 He’s served as an urban agriculture advisor to the NEW YORK CITY COUNCIL’s 2013 Report: Food-Works: A Vision to Improve New York City’s Food System. He currently serves on the City’s Inter-Agency Task Force on Urban Agriculture. Ray has helped Brook Park’s South Bronx Community of Mott Haven secure $300 thousand dollars for the development of a solar-powered food-production greenhouse on NYCHA public housing land through an innovative local government initiative known as Participatory Budgeting. Ray is the EARTH DAY-NEW YORK & NATURAL RESOURCES DEFENSE COUNCIL – NYC 2014 Environmental Advocate of the Year. He is a co-recipient of the Innovator Award from the CORNELL UNIVERSITY INSTITUTE FOR COMMUNITY AND RURAL DEVELOPMENT. Ray has previously worked for the HARLEM CHILDREN’s ZONE/TRUCE Fitness & Nutrition Center and, prior to that, for the PUERTO RICAN LEGAL DEFENSE AND EDUCATION FUND/Institute for Puerto Rican Policy. Aaron has successfully crafted and led a federally funded brook restoration design phase project. In addition, he manages the fundraising and graphic design of the Bronx Kill and Harlem Rivers Mollusk Restoration Project. He holds a professional Bachelors Degree in Architecture from Pratt Institute and has worked with Ira N. Pierce P.E., P.C., an engineering firm with a focus on environmental work and building preservation. Capitan is a regular, friendly, assuring presence in Brook Park. Capitan is a long time Bronx resident from Ponce Puerto Rico and grows cilantro, hot peppers and more. As the superintendant of the adjacent building he has been a very supportive member over the years. He and his crew often clean and maintain the garden perimeter, maintain open hours and donate their time and resources to ensure that local children have a fun and safe place to play. An artist, historian, musician, writer, and advocate, Roberto “Mukaro” Borrero (Taino) offers a broad range of experience with particular expertise in Caribbean and other Indigenous Peoples issues. His unique perspective draws from his ancestral heritage, mentorship from indigenous elders from around the world, and real world experience in the arts, as well as human rights and environmental advocacy. Roberto maintains a high standard of professionalism and accountability whether planning and organizing large scale cultural events, serving as a panel discussant or cultural presenter, facilitating curatorial services, report writing, engaging as a liaison between communities and institutions, or acting as a master of ceremonies for specialized events. 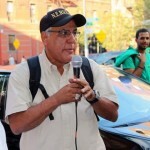 As a former radio host and producer for WBAI Pacifica Radio’s “Circle of Red Nations” and with over a decade of experience as a Senior Programs Coordinator for Public Programs in the Education Department of the American Museum of Natural History, Roberto maintains a diverse network of resources locally, nationally, and internationally in the civil, business, and governmental sectors. 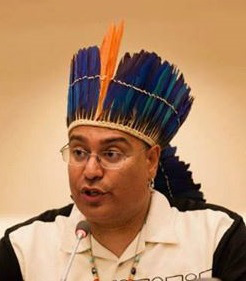 A cultural consultant and advisor, Roberto has shared his expertise in various capacities within the United Nations system, as well as with non-profit and for-profit entities such as PBS, BBC, the Smithsonian Institution’s National Museum of the American Indian, the Institute for American Indian Studies, the Aveda Corporation, Tribal Link Foundation, El Museo de Barrio, Natural Resources Stewardship Circle, and the International Indian Treaty Council, among others. Carol Zakaluk is a 45-year resident of and homeowner in the Mott Haven area of the Bronx, where her family has been rooted for 90 years. She’s held various jobs — assistant teacher in San Francisco’s Chinatown, manager at a furniture factory/showroom, and assistant tour manager for live bands on the road. Recently, she spent five years working in Mott Haven in arts professions, writing grants for and assisting a sculptor, then acting as co-director at an art gallery, and curating non-profit exhibitions. Carol wrote a grant proposal that resulted in $100,000 in NYSERDA funding for tree planting in our community. thanks to her, Mott Haven and Port Morris have 47 new trees. Carol is also landlady to five human tenants, and caretaker of five feral cats in a city-sanctioned colony she calls “The Rat Pack.” Her family home, decades in the community was featured in the NYTimes and her years of advocacy for our South Bronx waterfront has also been in the paper of record. Maximino Rivera was born in 1950 in Guayama, Puerto Rico, graduated De Witt Clinton High School in the Bronx and is a Vietnam Veteran. He has lived in the poorest Congressional District of the South Bronx for 48 years. He has been a community organizer and tenant rights advocate for over 37 years. He has served as the Executive Director of Pueblo en Marcha since 1987 to present. Among his many civic leadership roles, he has served on Community School District #7. He recently retired after many years with the United States Postal Service. Yaocihuatzin brings a wealth of experience as a volunteer with FoBP in the Bronx and as a scholar and artist and dancer since 2001. As a result of her educational experiences at the University of California at Berkeley (UCB), New York University (NYU), and the University of Rhode Island and Rhode Island College she has gained a lot of knowledge in the field of education. Her coursework in Ethnic Cultures and her knowledge of pedagogical theories, coupled with community activism and Native American involvement has given her the experience to make sure any project is successful. 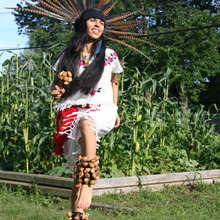 She has gained further experience by dancing with other Native American dance groups in California, Texas, and New York City and is a co-founder of the NYC based Kalpulli Huehuetlahtolli Mexica Dance group. Yao is the author of Decolonizing Nahua/Mexica/Aztec Children’s Literature , a doula and holds a PhD. 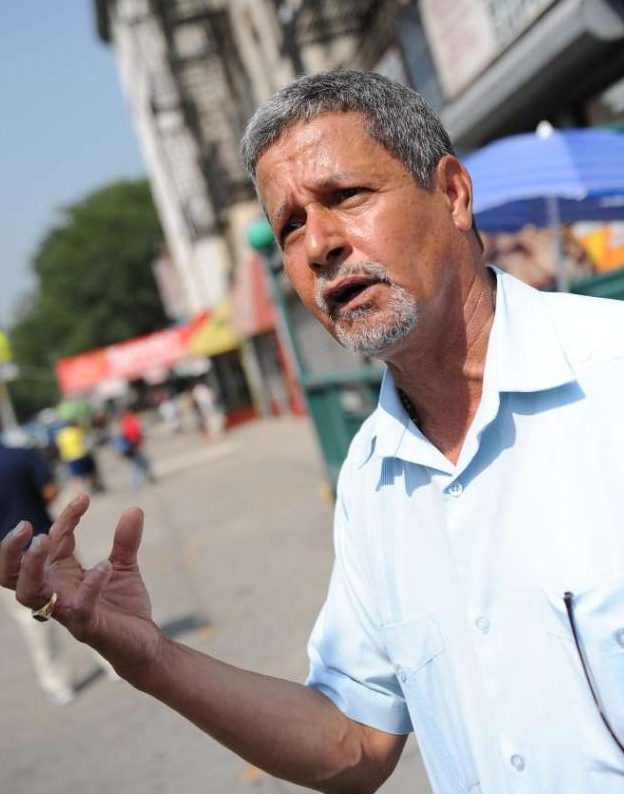 Roger Hernandez Jr. lives and works in Spanish Harlem as a community development director. MS Graduate of Hunter College Community Planning Program, with undergraduate specialization in Environmental Studies from Southampton College of LIU. Roger has served with many city wide community development agencies and organizations and government services helping to rebuild affordable housing opportunities in MA, NY, and PR. Roger is a previous Board Member of Cape and Islands Self Reliance Corp. of Barnstable County, and Bronx Community Board Six, and Manhattan Community Board Eleven, and the El Barrio Revolving Loan Fund, creating financial assessments for energy conservation and building rehabilitation.